Since our inception in 2005, the misson of Substance has been to make a real impact in organisations that do good across a number of sectors. We created the Stories with Substance series to showcase the work of our clients and partners and highlight the difference they are making in their communities. This week, Sport 4 Life. 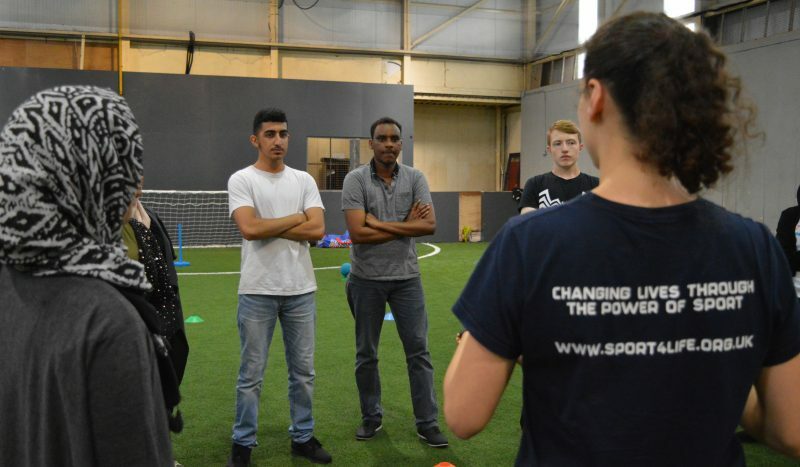 Founded in 2006 as a small community project seeking to create a better future for young people (aged 12 to 29) by improving their employ-ability and key life skills through sports-themed personal development programmes; Sport 4 Life has become the leading sport for employment charity across Birmingham. Collecting numerous awards along the way, including the 2016 National Sport for Good Award. The need for an organisation like Sport 4 Life is greater than ever, as the difficulties young people are facing in both education and employment continue to grow. Young people under 25 currently make up 40% of all those unemployed in the UK. While Birmingham alone has seen it’s population not achieving 5 A*-C GCSE’s rise to over 41% in recent years. Difficulties in education and a severe lack of employment opportunities can all to often lead young people down the wrong path. In light of recent events and the growing media attention surrounding youth and gang violence around the country, the work of Sport 4 Life has grown in its significance and should be seen as a shining example of how to tackle these issues by providing positive alternative opportunities. In late 2013, we had the honour of welcoming Sport 4 Life into the Substance family. The organisation felt the impact their work was having wasn’t being fully represented in the data they captured and the reports they published. Sport 4 Life felt their best option was to implement Substance’s project management and impact reporting platform, Views. Saad Mohammed, Research and Insight Manager at Sport 4 Life, recalled how prior to implementing Views, the organisation was restricted to limited data recording processes which failed to adequately showcase Sport 4 Life’s impact. Moreover, the lack of a centralised system made communication and reporting difficult if not impossible. Surprisingly, these issues are still common place throughout the third sector, the recent 2018 Charity Digital Skills Report found that 62% of third sector respondents rated their own ability to handle, manage and analyse data as fair to poor. Since becoming an active Views user, Sport 4 Life have gone from strength to strength; Saad stated that the “streamlined and standardised process” has allowed the organisation to become increasingly efficient in their data collection and analysation methods. Today, all Sport 4 Life impact reports are run through the Views platform, receiving praise from partners and funders alike. Substance is proud to have played, what Saad has described as an “Instrumental part” in shaping the reporting strategies of a great organisation throughout our 5-year relationship. This is why we do what we do! Through their work, Sport 4 Life is changing lives for the better, every day. Here at Substance we are delighted to have given such a great organisation a helping hand in their mission. It is imperative Substance continues to innovate and adapt in ways which can increase our impact on Sport 4 Life as well as all organisations that do good. Are you part of an organisation that does good? Would you like to work with Substance? Visit us at www.viewsapp.net or email info@substance.net for more information about the services and products we offer.